We believe in the KISS (Keep It Simple Stupid) way of doing things. 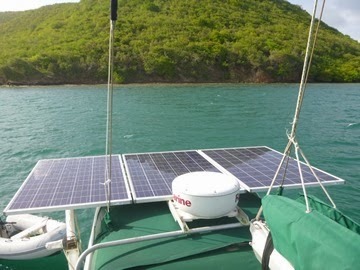 However with the boat up grade not only have we gone bigger but we have more systems onboard. Perkins 4.236 85hp. A beautiful beast of an engine. Heavily engineered. As old as the boat. Parts readily available. Sim loves it. The joys of an electric windlass are new to us and I honestly don't know how we managed for 9 years without one on our last boat. This is the biz! 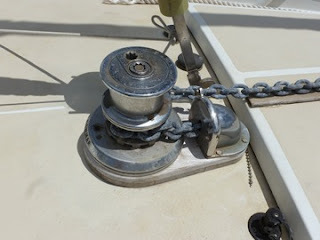 No more arguing when we get it wrong, we just pick the anchor up and try agian. We have a Lewmar V2000 in good condition with 100 or so meters of 3/8th BBB chain. Our primary anchor is a 60lb Manson supreme. We also have two fortress anchors a FX55 and a HUGE FX125. 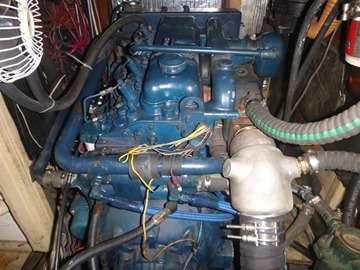 We have a huge house bank (732Amp Hrs) of batteries and a separate starting battery for the engine. We have opted to go with just solar power and have removed all our wind generators. We now have a large bank of newly installed solar panels giving us over 700 Watts. Plus one small panel to trickle charge the windless battery. Oh, and two 100 amp alternators on the engine. 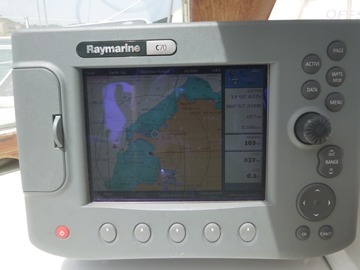 A Raymarine chartplotter, a fully intergarted navigation system complete with ST60 instruments, ST7002 autohelm, GPS, AIS and radar. This lot is dreamy. We also have a Garmin 72 GPS as a backup and some dog eared paper charts. 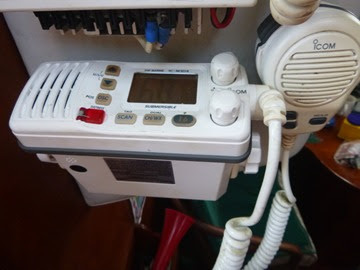 We carry an ICOM VHF radio and an ICOM SSB IC-710. 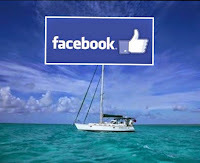 For internet we have a Wirie but are also using the digicel data plan in a laptop. 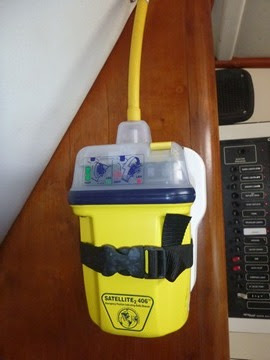 We carry a various assortment of handheld flares both handheld and parachute.. An EPIRB and an (unserviced) liferaft. 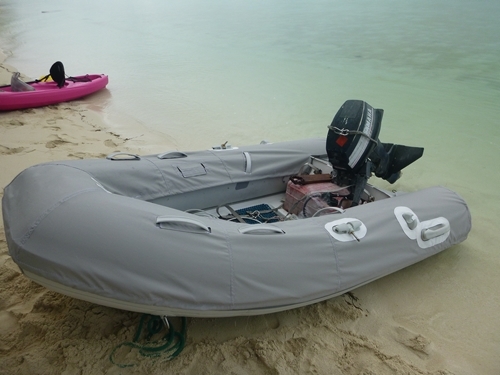 We have replaced our old Caribe C9 with a PVC Zodiac which was on offer with Defender. Sim has made a dinghy cover for it so we hope it will last us many years. 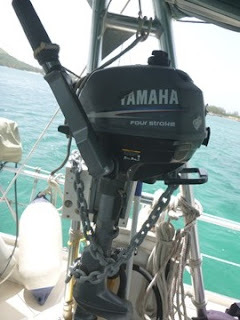 We have our old 15hp Yamahar outboard which Sim has cared for and nurtured for nearly 10 years and many spare parts for it. We also have a 2.5hp Yamahar as a spare. Why did you remove your wind generators? Couldn't you use both solar and wind gen? Why did you go from a sloop to a cutter rig, and what was the benefit? Hi there, Removing the old wind generator which was old anyway, gave us room to install big and better, more modern solar panels. Definitely the way to go in our opinion. 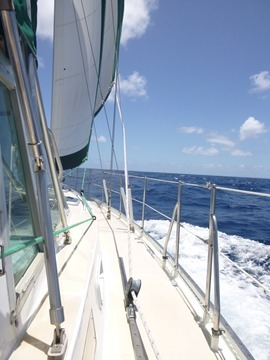 Alianna, our previous boat was a cutter, but we didn't have the boom to go with it and it was hank on - we were lazy. We used it occasionally. 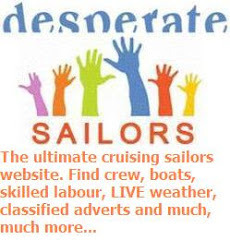 Wandering Stars staysail is furling, we like it a lot and use it often.